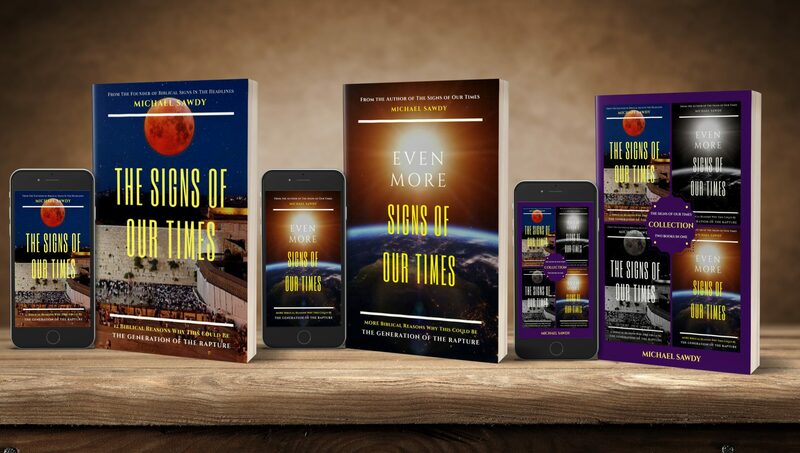 Here at Biblical Signs In The Headlines, I pledge no allegiance to any political party. I’m a Christian Conservative. While I may lean toward the Republican Party, it does not mean that they are safe from my criticism, as past articles have proven. The only bias I ever hold is a BIBLICAL BIAS. Unfortunately for the Democrats, who are hostile toward the Holy Bible far more than the GOP, that means they are criticized far more. Though, from time to time, Republicans do and say things that I take issue with, and I always call them out for it whenever they do. Unlike many so-called “Conservative” news websites, I won’t tell you what you want to hear in order to boost my website’s traffic. I will always tell you what you NEED to hear, in order to boost the number of souls in God’s Kingdom. Whether you’re the President, a politician, a celebrity, or even an influential Christian leader, if what you’re promoting goes against the Word of God, I will rebuke you. Today, the popular Republican General “Mad Dog” Mattis is at the top of my list. James Mattis is Donald Trump’s pick for Defense Secretary, and in my opinion, he is a HORRIBLE CHOICE. In my first article regarding Donald Trump being elected the next President, I said that my number one question was “will he keep the Campaign promises that he has made to Christians?” I also said that I would hold him accountable for every promise he has made to Christians. Perhaps his biggest Campaign pledge, which he borrowed from Ted Cruz, was to “Move the U.S. Embassy in Israel from Tel Aviv to their Eternal Capital of JERUSALEM.” I was thrilled to hear Trump and the Republicans in Congress reaffirm that promise after he became the President-Elect. During the Campaign I didn’t trust him to keep his word and, sadly, he’s giving me even more reasons not to trust him today. In a confirmation hearing at the Senate Armed Services Committee, General Mattis told the Senators that he believes “Tel Aviv is Israel’s capital as far as he is concerned”. What an IGNORAMOUS! Every one who calls themself a “Republican” in America should have, at the very least, a basic knowledge of the Holy Bible. It is obvious that Mattis DOES NOT. Trump’s pick to lead the Pentagon told Senator Lindsey Graham of South Carolina, “As a military figure, I will STICK WITH the US policy” (which currently does NOT recognize Jerusalem as Israel’s Capital). Graham then asked Mattis whether or not he would “support moving the US Embassy from Tel Aviv to Jerusalem?”. The General replied, “I’d DEFER that question to the nominee for Secretary of State”. “Mad Dog” Mattis is truly MAD! Any Republican who does not support moving the Embassy to Israel’s true Capital is NOT a true Republican, but rather a RINO (Republican in name only). Mattis’ responses are actually not much of a surprise to me. Back in 2013, he said “Israel could be branded as an Apartheid state because of the presence of Jewish communities in Judea and Samaria”. What a FOOL. 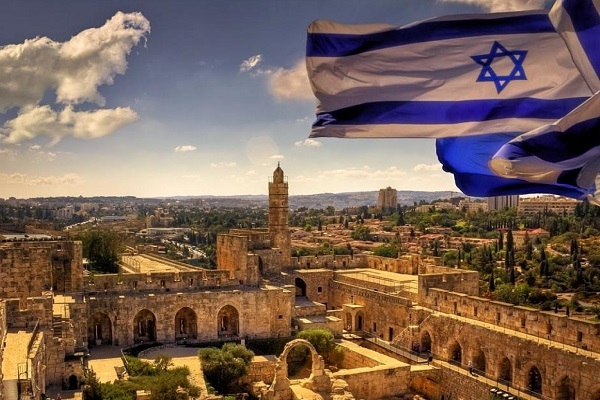 These cities were specifically given as Eternal property to the Jews by God Almighty Himself. The name “Judea” comes from the word “JEW”. Shame on Mattis for using Islamic propaganda terminology to describe Israel. He would have fit perfect in the Obama Administration, but has NO PLACE in a Republican Administration. All of his comments regarding Israel at his hearing yesterday are in complete contrast with what the Republican Party is promising to do, including the President-Elect himself. 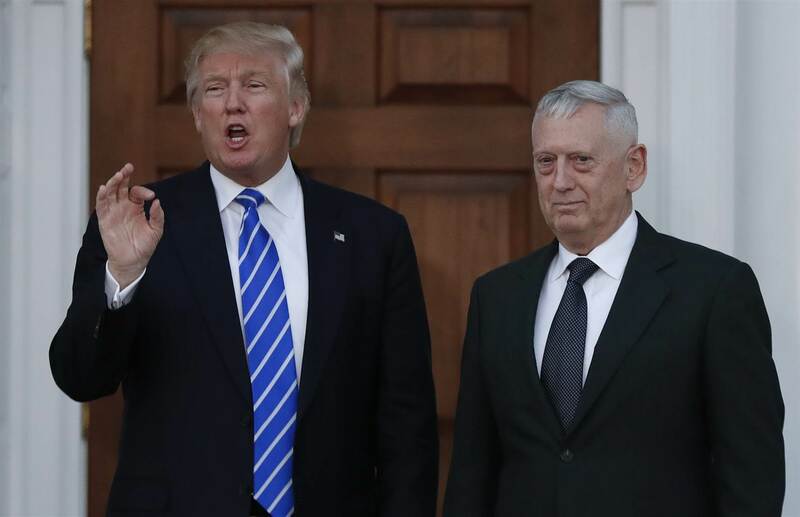 I’m saddened to hear that Mattis will most likely be confirmed as the Defense Secretary with bipartisan support, and so I pray that Trump does not get Foreign Policy advice from “Mad Fool” Mattis. 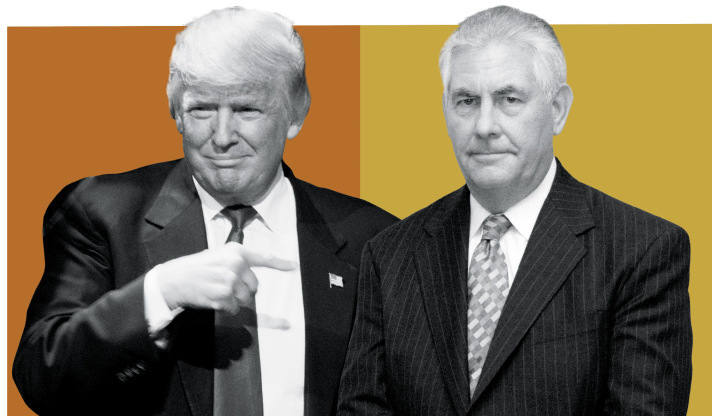 The General mentioned the Secretary of State, and for that top position Trump has nominated another man whom I strongly oppose, former Exxon-Mobil CEO Rex Tillerson. I question his loyalty to our greatest Ally, Israel, as well. Mort Klein, the President of the Zionist Organization of America (ZOA), told the Jewish Insider, “As an oil man, he was obviously very close to many Islamic countries, and had close relations with them. I am worried that this may indicate bias AGAINST Israel”. Haaretz news said that “Tillerson is a leader in an industry that traditionally SHUNS Israel and prefers the Islamic world”. How can Trump claim to be “very pro-Israel” while appointing men who could be hostile to the Jewish State to some of the top positions in his Administration?! I’m also against Tillerson for another reason, and that is his alliance with the radical “LGBT lobby”. Tony Perkins, head of the Family Research Council, took issue with Tillerson as soon as his name came up for nomination. 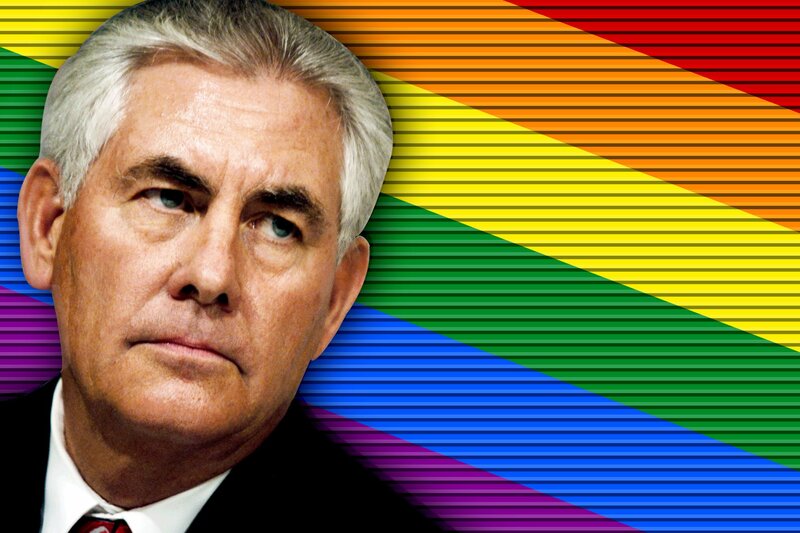 Perkins said that Tillerson “risked the well-being of young boys under his charge in an attempt to placate radical homosexual activists.” He is referring to an instance in 2013, when the Exxon-Mobil CEO pressured the Boy Scouts of America to allow gay scouts and gay scout-leaders. Tillerson was the president of the BSA from 2010 to 2012, and thus he had major influence on the organization’s landmark decision to endanger young boys. Trump took the same position as Liberal Democrats, Barack Obama, and Hillary Clinton on the “Transgender Bathroom Bills” across the nation. The president of the Log Cabin Republicans, a gay Republican advocacy group, said “Trump is one of the BEST, if not THE best, pro-gay Republican candidates to EVER run for the presidency. He will do NO HARM on Gay Marriage, and has a stand-out position on non-discrimination LGBT legislation.” Trump said of the Gay Marriage ruling, “the Court has ruled and it is the law of the land. You have to go with it.” Maybe that explains why he’s “going with” Rex Tillerson as Secretary of State. As to Israel, Trump has been all over the map. He said in the Primary Debates that he would be “NEUTRAL” in the Israeli-Palestinian conflict. He pledged to give the “Peace Plan” (which DIVIDES the Holy Land of Israel and gives some of the Jewish State’s Holiest Cities to the murderous Palestinians) “one hell of a shot.” He said, “If I do win, there has to be a certain amount of surprise, UNPREDICTABILITY. 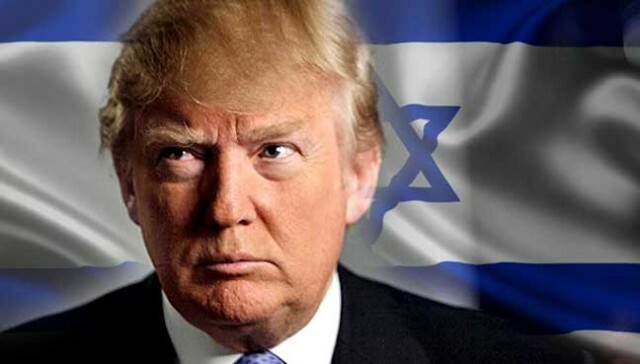 Our country has no unpredictability.” NO Donald, when it comes to Israel, we should ALWAYS be predictable in standing shoulder to shoulder with the Jewish State. “I think it serves no purpose to say that you have a good guy and a bad guy. It doesn’t do any good to start demeaning the neighbors (Palestinians), because I would love to do something with regard to negotiating peace, finally, for Israel and for their neighbors. And I can’t do that as a negotiator, I cannot do that if I’m taking big, big sides,” Trump said. So will we get THIS Trump who sounds like General Mattis, or the Trump who now pledges to move the U.S. Embassy to Israel’s Holy Capital of Jerusalem? I pray the LATTER! I thank God for the few Republicans who are doing the right thing, and taking action on behalf of our greatest Ally. Senators Ted Cruz and Lindsey Graham have put forth a Bill which will do exactly what I’ve been praying for, and that is to DEFUND THE UNITED NATIONS. I’ve long said that America should not be funding, nor have any relations with, such an anti-semitic, anti-Israel, God-hating, and Biblically-hostile organization. 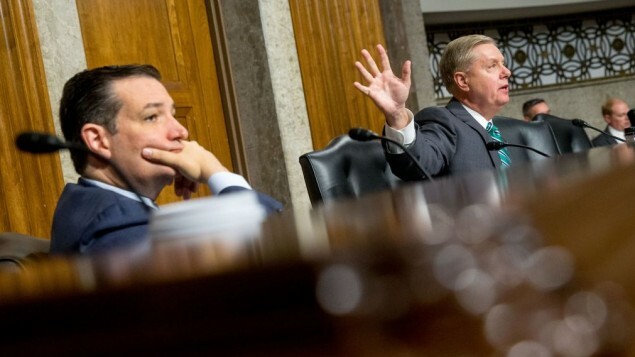 The Cruz-Graham Bill will HALT funding to the UN until it fully repeals the recent Obama-approved anti-Israel resolution. Cruz said, “If you cut off their money, that gets their attention, and I think we’ve got real prospects of seeing this thing move through Congress and actually turning this thing around”. The Bill is called the “Safeguard Israel Act”. It states that the U.S. government will be prohibited from giving any money to the UN, or any of its affiliates, until the U.S. President can confirm and certify that the UN resolution has been repealed. America provides the UN with 22% of it’s budget, contributing 8 BILLION dollars to the anti-Israel organization EVERY YEAR. Senator Cruz told MSNBC that “President Obama has betrayed decades of robust bipartisan American support for Israel at the United Nations by permitting the passage of a biased resolution that condemns our close friend and ally. The Security Council’s resolution is only the latest example of the UN’s long history of obsessive hostility towards Israel”. Senator Graham said, “I begged the UN months before, don’t put me in this box. I think most Americans believe the United Nations has become more anti-Semitic, more anti-Israel”. Indeed it has. That is why everyone reading this needs to contact your State lawmakers and urge them to pass this Bill. As a Nation, upon Obama’s departure, we need to once again strengthen and solidify our Alliance with Israel more than ever before in history. I believe Trump’s appointments of Mattis and Tillerson will hinder that cause. Mark my words, if they do, and if Trump doesn’t keep his promises to the Jewish State, then Donald is gonna hate me far more than he ever has Buzzfeed or CNN!!! 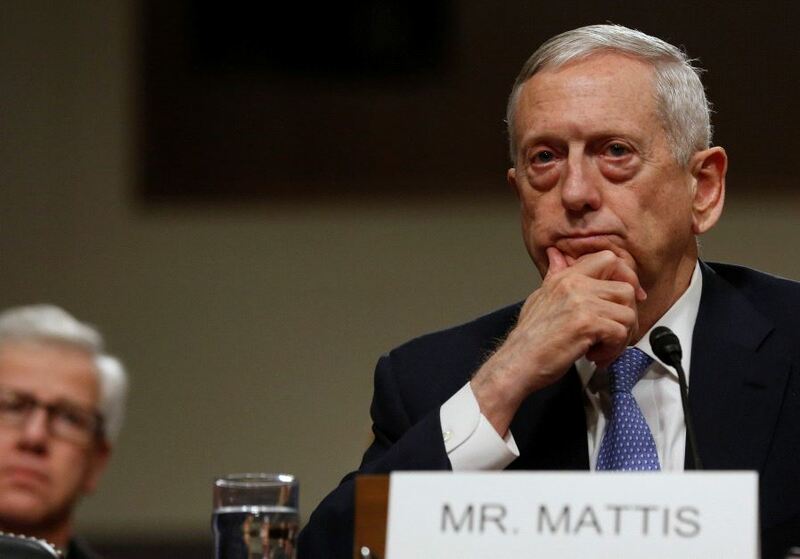 Thank you – Michael Sawdy – an excellent article on concerns about Gen. Mattis and Mr. Tillerson.